The most prominent emblem of the Christian religion. A large based cross is a symbol of faith. 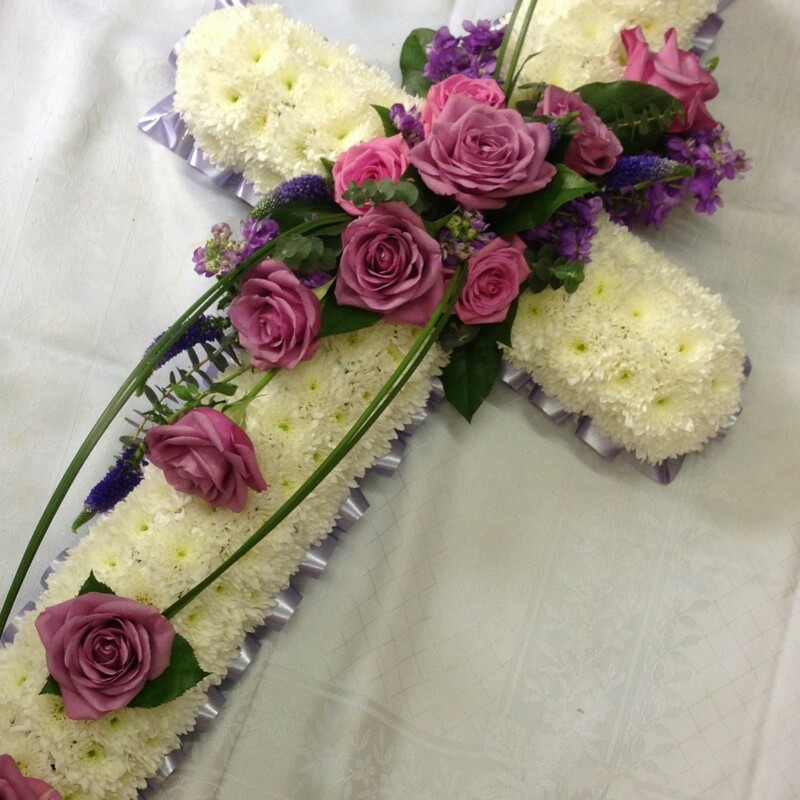 Available in any colour ribbon edge with a white base and your choice of sprays on the top.